After prepping the “Hummingboard” with two coats of white paint, I dropped splashes of color into washes of water. As that dried, we worked on other boards, then returned to the hummingbird. Mixing colors and painting with one hand while balancing the laptop (with photo of hummingbird) in the other, I watched with detached amazement as the bird took form as if by magic! The final touches will be added soon; if only all challenges were so easy to master! Here’s another sign that was fun to paint. Shhhhh! Don’t wake the duendes! We haven’t seen a duende, but I suspect they are watching from the deep shadows! The duende sign is tucked into a an out-of-the way location, but one that I love to visit. 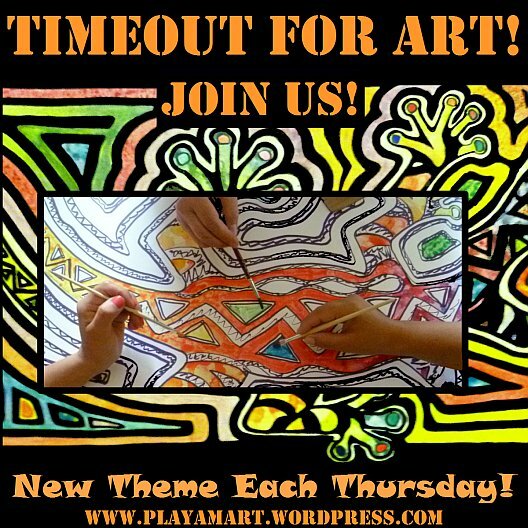 Would you like to take a tour of the trails for the next Timeout post? What fun! I love the hummingbird quote..and the painting! Thanks, Lisa! What fun! I’m finally catching up – hello Z and to Barbara, nice to see you again!!! Yes please! 🙂 The hummingboard is gorgeous. Although the cloud forest is lovely, and I’m happy where I am, it would be nice to tag along with you on some of those walks! Hi over there! Has winter been kind to you and your family? I hope so. I often think of you, Liza. In December we are going to Ecuador and The Galapagos Islands. yay! later in the year we’ll have to merge itineraries so that i can greet you in gye! Would it be possible to meet up? We are with a travel agency, so I don’t know! We will stay in a jungle hut some hours from Coca – Sasha lodge. Quito of course, and then Galapagos. We will have to try! thanks! it still awaits the lettering.. the past week has been challenging, and other tasks trumped the sign work. the otters returned, and their presence always triggers a lighter attitude! hi amiga.. it would be great to have you walking these trails with us, though cyberspace definitely bridges those distances. hope your joints are better! buen viaje! enjoy your trip and watch out for street-vendor food.. that’s where bob (piran cafe) suspects his illness from ‘h—‘ came from! The hummingbird is very beautiful! I would love a tour of the trails! thanks! lots has happened this week, so the trail post will stay in limbo a while longer.